To make the man, who had taken his mother from him, pay for everything heâ€™d done. But from the moment they say â€˜I doâ€™, he learns that his bride is not what he thought sheâ€™d be, and walls that heâ€™d built around his heart start to crumble. What happens when he realizes the woman he is living with, is also the woman he canâ€™t live without. And how will he handle it when he finds out that he isnâ€™t the only one with an agenda? 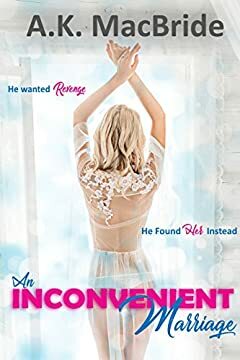 Natalie soon realizes that Zach will not be her knight in shining armor, but that doesnâ€™t stop her from hoping that he would see past the rumors and lies to notice the woman she keeps hidden from the world.